Hi, wow it's nice and warm today, and here I am sharing Christmas with you, but I'm sure you don't mind. So, Sheena will be on create and craft Monday with these festive stamps showing you loads of techniques and no doubt making you want to get your Christmas crafty stash out. 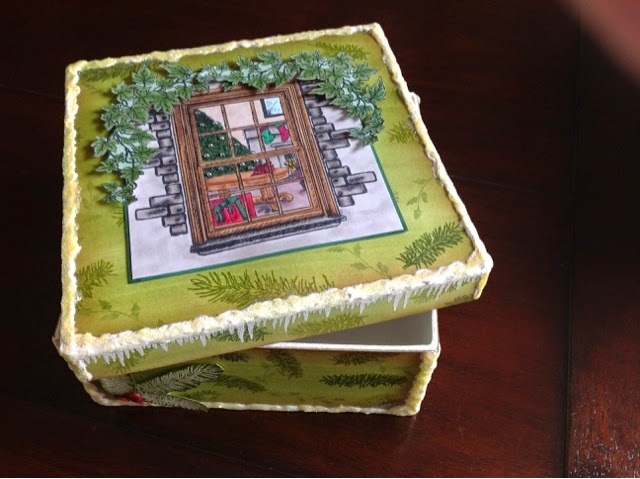 This is gorgeous, lovely to store Christmas treasures.